Propagation of action potentials occurs by the movement of charge along the inner and outer surface of axons. Propagation velocity depends on the passive properties of the axonal membrane. The velocity of propagation is directly proportional to the space constant and inversely proportional to the time constant. Myelination of axons increases the propagation velocity of action potentials. Action potentials can be recorded by placing electrodes near the surface of the nerve. 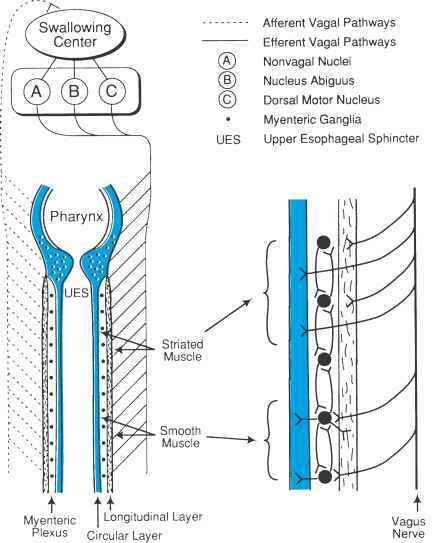 The magnitude of the signal extracellularly recorded depends on the number of axons that are active. Peaks that occur at different times after a stimulus reflect differences in the propagation velocity of action potentials in the different axons.